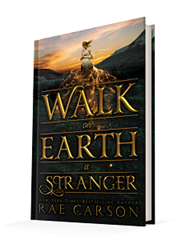 Published September 22, 2015, by Greenwillow Books, Walk on Earth a Stranger by Rae Carson is a young adult tale set in the historical context with just a dash of fantasy and magic. The acclaimed Rae Carson begins a sweeping new trilogy set in Gold Rush-era America, about a young woman with a powerful and dangerous gift. What an unexpected delight. Walk on Earth a Stranger sets up an interesting premise, a rare setting with a strong female protagonist. There is this aspect of the novel that offers readers a bit of the supernatural, a dash of fantasy in an otherwise very grounded piece of work. The fantastical is not the center of the story, it’s both the focus and not the focus because it’s about Leah, a girl from a small town in the 1850’s, who has the ability to sense and find gold. Because of this ability, she has lost her family to a despicable character and her life is now at risk. So she decides to risk everything by running away from Georgia to California. Admittedly it’s a very slow book but that’s because one has to realize the reality of this time. They traveled by horses, and steamboats and ox carts. Travel was hard and long, the opposite of today’s age in technology. And for Leah she decides to take the trek by herself, making her way on her own, meeting good people along the way and proving to herself that she can be a strong independent person. She runs away dressed as a boy and that takes such courage. That courage is what gives her such vitality and makes her a compelling character. Leah has such powerful emotions, she loses everything in a single moment and she allows her rage, sadness, and overall frustration of just being a girl in this era where women have no power, to fuel her. She takes everything and uses it to keep her going even when she wants to give up. But back to the main point, the story is slow and steady. It builds the tension between the characters and the tension Leah feels with having to be a girl but pretending to be a guy. 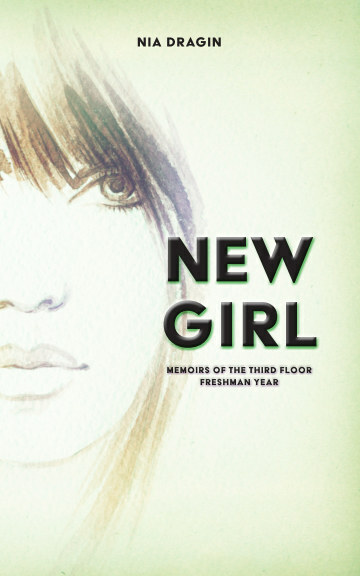 But the slowness only adds to the believability of the novel itself. You don’t have to know a lot about history to grasp the context of the story. There’s nothing outlandish story wise that detracts from the story. It has the hardships but it never loses the hope that the Gold Rush offered so many people, it shows what they were all willing to suffer to make it, just like these characters who all wanted a new life. The novel captures that so beautifully by bringing together various characters with different backgrounds going on this journey together.